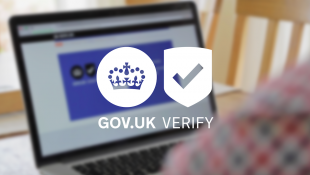 With more people and services using GOV.UK Verify, we’re able to learn from their feedback and find more opportunities to refine and improve the service. 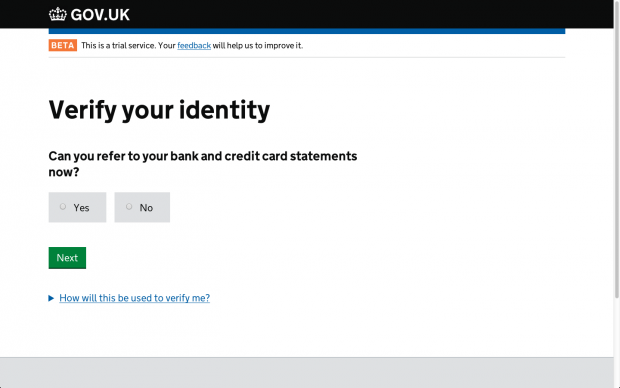 A few weeks ago, I wrote about refinements we were making to ensure people were better prepared to answer the questions used to verify their identity. Though this page did what was needed, we also knew that we could make this better. Over the last few weeks, we’ve been looking at new possible versions of the page and testing these with members of the public in our usability lab. This is one of many areas where we’re looking to make incremental improvements to the service. In the coming weeks and months we’ll be writing more here about the changes we’re making and how they affect the people using the service. Your documents will be checked to confirm they are valid. They will be checked again in the future to make sure they are still valid. I don’t have either of these documents"
Hello Peter - thanks for your comment. Would you be able to let us know what in particular about that page spoils the flow from the new page? If you can give us a bit more detailed feedback we'll be very happy to take a look at it. Hello Philip, thanks for commenting. To verify someone's identity, a certified company has to be able to verify a range of evidence across three categories - money, citizen and living (see this post which explains this in more detail: https://identityassurance.blog.gov.uk/2014/11/21/how-does-a-certified-company-establish-that-its-really-you/). Certified companies can use a range of combinations of evidence from two or three of these categories, depending on the value of the evidence and the extent to which they can verify it is valid and / or genuine. 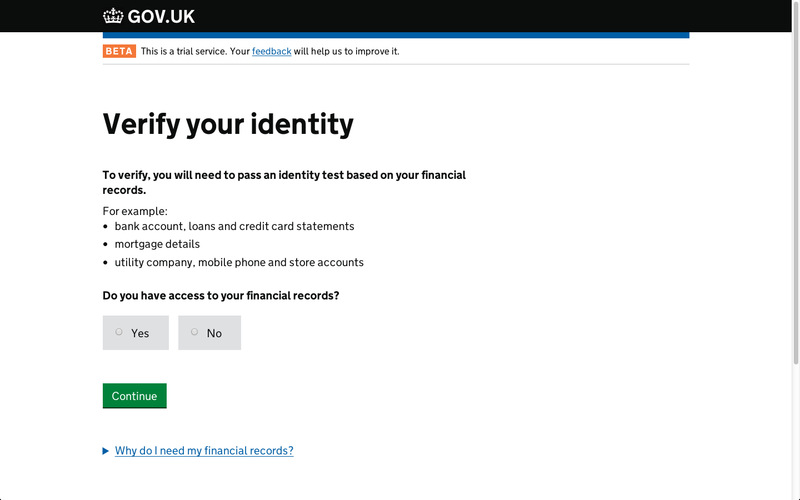 So, under the standards (the relevant one being Good Practice Guide 45 - Identity Proofing and Verification), it is theoretically possible (though not possible through the service as it stands right now) for someone to verify their identity without using financial records, by using evidence from the citizen and living categories. We expect this to become possible within the next couple of months, and we'll report progress here. 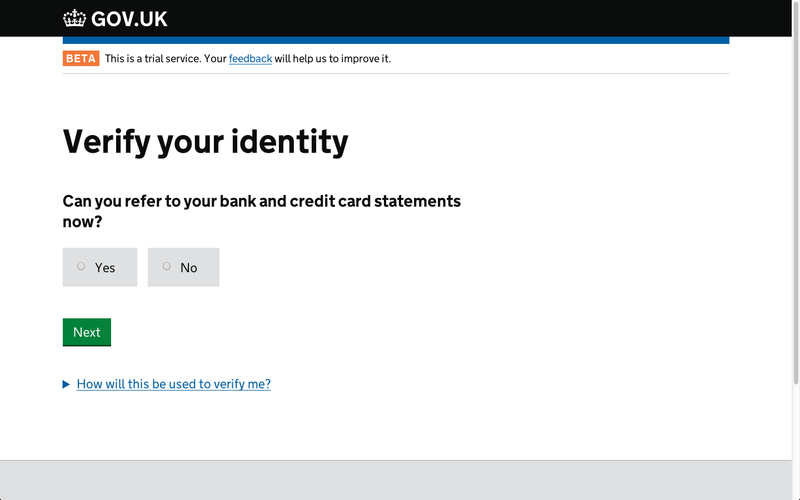 In the meantime, anyone who doesn't have (or want to use) the information required to verify their identity at this stage will still be able to choose another way to access the service they want to use.